I wanted to share with you an example of how I’ve test driven some recent swatches. This will give you an idea of how we should approach our swatches for the -along! Each step of the way I kept short notes and it is really important to note down your observances in this KAL. If like me you are heavily swayed by new stationery the swatch-along is the perfect excuse for a new notebook, but its not mandatory, any pen, paper or chosen way of note taking is fine. You are so welcome to blog about your swatches too, when time comes. 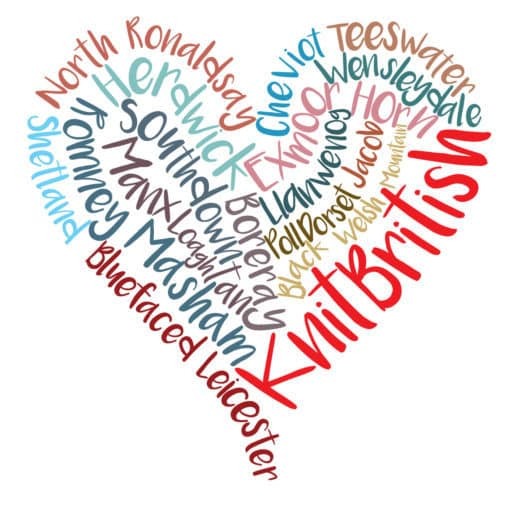 as well as posting your FO findings in the KB ravelry group. Please feel free to use this example as a template and do share your blog with the chat group on Ravelry. 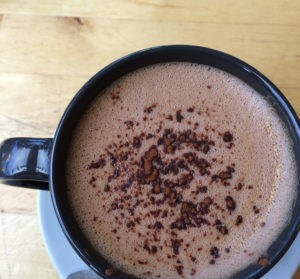 We will all be answering very similar questions in our reviews, but please feel free to go into more detail, as I have done here, in your blogs and also in your ravelry project notes. 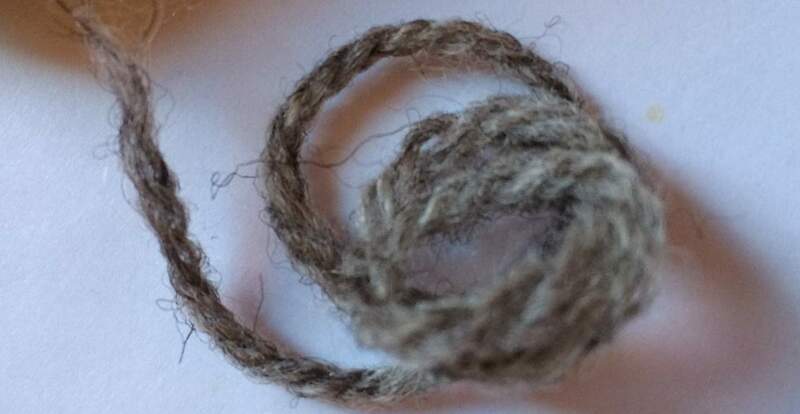 If you are spinning your own yarn you will also want to add a question about the feel of the fleece or fibre and observations on how it spun too. 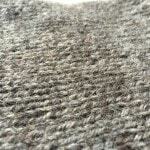 | Initial thoughts on use: This yarn might be good for outerwear. It looks very insulating, but not very soft on skin. 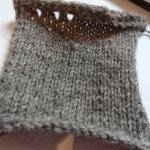 | Cast on: I cast on 25 stitches on 4mm bamboo needles* and knit stockinette. 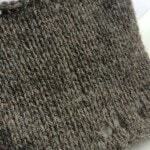 | Thoughts on knitting process: The working wool feels rustic in my hands. 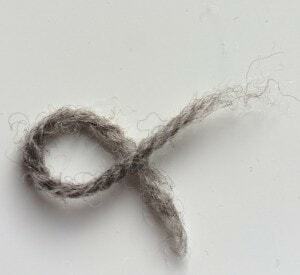 It’s the hairiness of the spun yarn that gives it this. The yarn is quite airy, despite the crispness. | Describe the feel of the unwashed swatch: crispy, stretchy. Bristly against the skin. I wore this swatch for a whole day inside the arm of my woollen sweater. I was aware of the different texture against my skin and could feel it very slightly itchy. | How has the swatch shrunk or changed after test one? There was no pilling whatsoever over the face of the fabric. but there is a very light halo of those longer fibres, which did soften slightly. The swatch now measures 12.5cm square. No grease in the water. I blocked it to 13cm square. I would say that the swatch relaxed a lot more after this wash. perhaps now that there is no lanolin release (?) It was left to block over a week (I forgot!). For the wear test I repeated the wear inside my clothing…on cleaning day….lots of elbow grease. I was not aware of the itch from before. The next day I wore the swatch inside my jeans pocket to see if this had any significant change to the fabric. it did not. | Describe the washed, blocked and worn swatch: thick, stretchy, bouncy, sheepy, slightly rustic, but softer against the skin than unwashed. 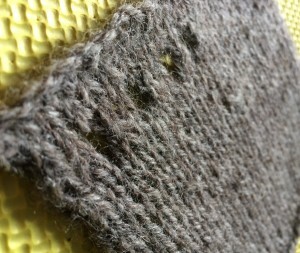 | Thoughts on longevity of the wool: I think this wool will continue to soften ever-so-slightly with each wash and block. It is not ever going to be soft as Shetland, under the same conditions, or like merino, but it seems a very reliable and workhorse yarn. 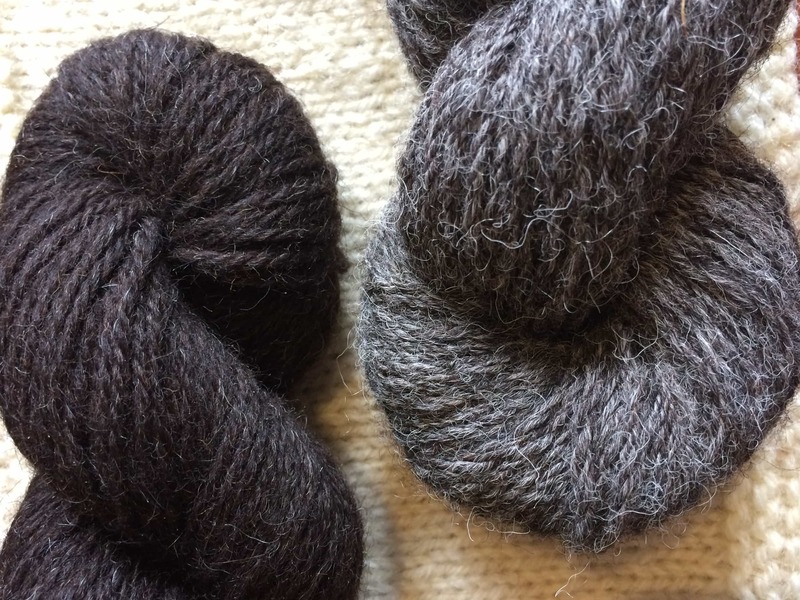 I am very encouraged by the lack of pil in the wear test and while I know that most woollen spun yarns are more prone to eventual piling over time, I think Romney seems to do its best to resist. 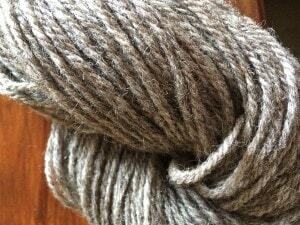 | Thoughts on use: I would not have thought this wool was suitable for next to skin, but I now think it would make workhorse yarn for cardigans and sweaters. It has great stretch for clothing and the memory of that stretch seems longlasting. It makes a warm and insulating fabric and is also great in hats, as I can attest. | Overall: Not a breed that I have used until this skein, but I would definitely use again and would definitely recommend it for its bouncy reliability and the characteristics as described. I am tempted to repeat the wash block and wear test a third time to see if I am correct on the slight softening and bloom with each wash and I am very interested to know if it would pil in another test. I have more posts on the swatch-along coming out in the run up to the cast on date on 5th October. On Monday I will have some woolly inspirations for you and I will also have a FAQ post coming soon too. 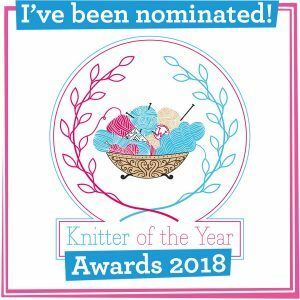 Please feel free to ask any questions in the Ravelry group, or as a comment here, or email via the contact page, but also be aware that I am in Shetland from 25th Sept until the cast on day and will take longer to reply. I never need an excuse to buy more stationery. ☺ I have a notebook that I bought last year at Yarndale from the Herdy shop that might be ideal or I may just have to buy a new one. My list of breed wool I would like to try is growing! A nice, in depth analysis. It would be great to collate everyone’s results into one reference guide. This is very helpful Louise, thanks for posting in such detail. Will try very hard to resist new stationery but gosh it’s hard! great, informative and helpful post! Thanks! Such a useful learning experience, even if it’s only done for a few different wools. The more it’s done for, the more people will learn about wool. It’s one of the most useful things I’ve ever done, and I really need to spread it out over more breeds. I’m so excited! New wool yarns to try AND new stationery to buy – what’s not to love! Great post Louise. You are definitely inspiring me to see what British breeds I have in my stash.